I finally tried the 10 step Korean Skin Care Routine (and fell in love). Once upon a time, a coworker invited a group of us to his home for dinner. When we arrived, we were immediately blown away at the lengths his wife went to create a traditional Korean feast for us. After a few minutes of introduction, we all sat down for a wonderful evening of food and laughs. Months later, I ran into his wife again, this time, I got down to business and asked her a question that was on my heart since our first meeting. You see, his wife had the most flawless skin I had ever seen. I absolutely needed to know her skin care secrets. When the opportunity came, I gently pulled her to the side and asked the important questions. She received the compliments I gave her in a generous and humble way. She then proceeded to tell me that she once had troubled skin and saw improvements after using an egg based soap. Once I got home, I got to researching for this soap made with real egg whites. While on the hunt, I discovered the level of seriousness that Koreans place on their skin care regimens. I learned that a traditional daily regimen could involve as many as a dozen steps! After seeing this video of Michelle Phan layering product after product onto her skin, I became bewildered and slowly backed away from a multi-step routine. There was no way that I was going to invest that amount of effort day after day. It just seemed excessive. In the back of my mind, I couldn't deny the amazingness of Michelle's skin. It was flawless perfection. That was a few years ago. I wasn't ready to take my skin care routine to that level. But when the student is ready, a teacher (re)appears. Just the other day, I stumbled upon this video of a 40+ year old man with the skin of a teenager. His bare skin glowed like that of an angel. He too had a multistep routine that included layering of various products for enhanced results. There was no denying the quality of his skin. Finally, I gave in and tested process for myself. After double cleansing with the Clarisonic Pro, began my journey into multistep skin care. First I added a little coconut cider vinegar to a cotton pad and applied as a toner. The acidic nature of the vinegar calms my skin and keeps dermatitis flare ups at bay. Next I layered serum after serum starting with Snail Bee Essence, then Truth Serum Vitamin C booster. Finally, once that dried, I layered the Glycolic and Hyaluronic acid serum hybrid purchased from MakeUpArtist Choice. Actually, I'm not sure what order I used the serums but either way, it's the first time I've ever done such a thing. By the time I finished the process by adding eye cream and vitamin C moisturizer, my skin glowed. I stood in front of the mirror in awe of what I was seeing. Who's skin was this? Now that I've tasted the wonders of a multi-layering, multi-step facial routine, how can I ever go back to the old way of doing things? In fact, my first thoughts were of how I needed to add a facial essence and a hydrating serum for night time. I've been eyeing SK II facial essence for a very long time. I may finally take the plunge. But first, I think I'll try the cost friendly skin essence available from Missha which is less than half the price of SK II and has higher reviews. It makes me giddy thinking about it. And to think that I was patting myself on the back for how little effort I was putting into my facial routine while still getting by. After years of dealing with horrendous acne, I was happy to not have to fuss with a rigid regimen. But I was sacrificing the opportunity to have the skin of my dreams because I decided to get a little lazy. For those of you who want to dabble in the labor intensive, skin transforming Korean skin care regimen, here's a quick breakdown. STEP 1: Pre-cleanse | Typically means the removal of makeup using a makeup wipe, cleansing water or cleansing oil. STEP 2: Cleanse | Use a gentle cleanser to throughly remove dirt and oil. STEP 3: Exfoliate | Removing dead skin cells helps absorption of serums and creams. STEP 4: Tone | Bring the skin back to it's proper pH balance. STEP 5: Essence | Promotes healthy cells by promoting cell turnover and removal of toxin. Makes skin brighter and healthier. STEP 6: Serum | Applying a concentrated serum to address skin needs. This may require using several different serums if you have multiple concerns. STEP 7: Mask | Not necessary for every day but adding a sheet mask to the routine can help target specific areas such as moisture balance, brightening, collagen boosting etc. STEP 8: Eye Cream | To promote youth in the eye areas. STEP 10: Night Cream for intense repair. Honorable Mention: Massage | To promote blood flow to the skin. You can do a separate massage routine or incorporate massage as you layer on each product. Ten steps sure seems like a lot to contend with but the pay off is high. Minus the essence I do a similar routine for my skin. It's not really that time consuming once you get the steps down. I use the same soap-free cleanser I've used since middle-school, Purpose, and plain Witch Hazel for toner. I just recently purchased a cleaning brush which really helps with exfoliation and I moisturize morning and night with CereVe. I might get a hormone related pimple every month, both other than than my skin is clear and healthy. Great post. I've recently started similar product layering as well and my skin definitely looks better. You should also try the Japanese sunscreens as well. They are nothing like western sunscreens. Extremely lightweight, non greasy and matte so it layers wonderfully under makeup with no white cast . I use Shiseido senka mineral water but have biore sarasara aqua rich on my must try list as well. Very informative Nadege thanks. My skin has been troublesome every since I stopped eating meat, I think it's due to the detoxing process. So these tips are very helpful. Now, I don't know about 10 steps lol, maybe 4 or 5 for starters. I started using a multi-step process that was provided by my new skincare muse Caroline Hirons (from the UK). I live in NY where we have TWO K-Towns (NYC & Queens) & I've had the privilege of buying their fabulously budget-friendly products to incorporate into this multilayered (& time intensive) process. I suffer from acne like you & in three months went from the most horrendous breakout I've ever had to people actually telling me my skin GLOWS!!! I can't discount cleaning up my diet & increasing my fish oil intake but the K Beauty regimen is the TRUTH! I highly suggest you visit Caroline Hirons blog because her regimens are closely aligned with the Korean beauty process. It's much but I'm a convert! I was JUST reading a bunch of blogs over the weekend about the Korean layering technique. I'm looking for ways to fight hyper-pigmentation and get smoother skin. Flooding my skin with moisture seems like a plan. And obviously the direction others are going in as some Korean lines can now be found in Target and Urban Outfitters. sooooo just to be clear, you can use a cream product on your skin after usin a serum? pls answer. Yep, the cream seals the serums into the skin. This is a good blog post. These all tips are very nice and useful for everyone. 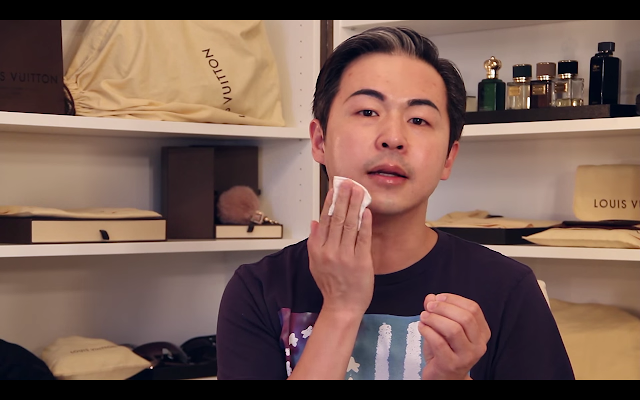 Nice post about Korean skincare, it is something I have been looking into for a while now! Thanks for sharing.